At the age of sixteen, Julian Trevelyan was placed top in the prestigious Long-Thibaud-Crespin 2015 international piano competition (he was awarded the second Grand Prix, no first prize was awarded) one of the youngest laureates in the history of the competition. He also won the concerto prize with his performance of Bartók’s third piano concerto. 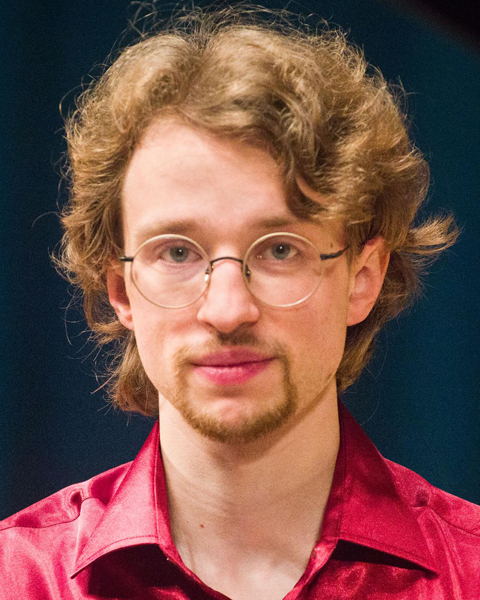 Earlier in 2015, he won second prize and the Mocsari prize at the Ile-de-France international piano competition; and was awarded the Grand Prix at the Concours Festival pour le Repertoire Pianistique Moderne. More recently, he was awarded second prize in the 2016 Kissinger KlavierOlymp in Germany. Following a recital at the 2017 Kissinger Sommer Festival, he was awarded the Luitpold prize for the most promising young artist in the festival. Competition success has resulted in invitations to give concerts in a number of European countries - Switzerland, France, Russia, Poland, Germany and Hungary. Highlights include performing Bartók’s third piano concerto for Julian’s debut in Russia, in the Grand Hall of the Philharmonie with the St Petersburg Symphony Orchestra; and two performances of Schumann’s piano concerto with the Wuhan Symphony Orchestra, conducted by Liu Peng, in Normandy. Julian is now based in Paris, where he studies at the Ecole Normale, supported by a scholarship from the Or du Rhin Foundation. His repertoire is varied, ranging from Bach to Boulez. In June 2015, BBC Radio 3 broadcast his live performance of seven of Douze Notations by Boulez. He also appeared as the young Boulez in ‘A Pierre Dream’ at the Snape Festival. He has performed the ‘Kids Collection’ at St Albans Film Festival, and at the Snape Proms, playing four Chopin Ètudes that accompany animated film sequences from ‘Chopin Shorts’. In November 2016, at Talent Unlimited’s 2016 Christmas Concert, he gave the world premiere performance of Howard Blake’s Snowman Rhapsody, a solo piano concert arrangement of music drawn from the film and stage show and will be presenting the German premiere in July 2018 in Munich. He has performed many Beethoven sonatas, and most of the solo piano repertoire by Debussy and Ravel. His modern and contemporary repertoire includes Bartók’s Out Doors suite, various Ligeti Ètudes, and sonatas by Prokofiev, Shostakovich and Ullmann. Piano is his principal instrument, but he also plays the violin and enjoys chamber music with Pro Corda and MusicWorks. He was a chorister with St Albans Cathedral Choir and then sang as a tenor with Abbey Singers. Julian was a member of Aldeburgh Young Musicians from 2012 to 2017, where a number of his compositions were performed. He also enjoys acting. Julian is a keen geologist and is studying for a degree with the Open University.